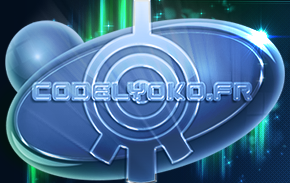 This file aims to list the "lost" elements of Code Lyoko. What do we mean by that? We're talking about all the different elements that were forecast to appear in the series...and that were, in the end, never seen on the screen. Change in screenplay, lack of resources, other... The reasons the changes were made can be many. We point them out when we know of them. Note that this page identified the elements present throughout other files with watermarks. There will therefore be some references to complete. So? Which abandoned idea do you regret the most? We'll start with the series Pilot: Garage Kids. If you don't know anything about the pilot or if you want to know more details about the series' origins, you can read more in the "History of Code Lyoko" section, on the Garage Kids page. You'll find there all about the why and how on the evolution of the concept between Code Lyoko and Garage Kids. Here, we only list the two major conceptual changes between the initial project and the final animated series. First missing element from Garage Kids: In this project, the heroes were supposed to keep their virtual power on Earth. Thus Yumi was equipped with telekinesis and was able to save Jeremy from a fatal fall. Second major point, Lyoko, which was called Xanadu, seemed to be a vast world to explore. Thus, unlike the 4 redundant Surface Sectors, the heroes could progress in their discovery of the virtual world, plunging even deeper and deeper into it. We now come to the drawings that were made in the lead-up to Code Lyoko. We note slight differences. The origin of the eye of XANA remains in shadows. Even the writers and Ms S. failed to tell us its origin. On the other hand, what we do know, is that it has changed in appearance. In fact, here's what it looked like at first! Some of XANA's monsters also had slight differences in appearance. In fact, originally, the Bloks possessed eyes in 4 different colours. One yellow for the laser, one red for the fire, one blue for the ice. The 4th was green. In the end, all that was made uniform and the 4th eye was never used in the series. And as you can see, XANA wasn't the only one who was slightly different. You'll discover on Sissi's first draft that Kadic's pest was originally going to have brown hair. And no, it's not a simple recolour! You can discover the agreed scriptwriting changes between the production of season 1 and season 2. To do this, visit our page on the Code Lyoko Graphic Bible, which contains a description of the concept of Code Lyoko before season 2 was written. The large change in look in Code Lyoko comes in between seasons 3 and 4. If season 3 was only 13 episodes (15 including the Prequel), it was to allow time for the teams to work on the new things in season 4. And between all the new stuff, certain things had to be gotten rid of! Let's attack the list of changes to the heroes. These famous first drafts were discovered during the Gobelins Exposition...and caused quite an uproar. Ulrich is the one with the most obvious difference. In the drawing from the exposition, he seems to have a "scanner": a digital monocle which caused a lot of drooling during speculation on its possible use. In the end, he never had anything like it. Odd had claws which earned him much more respect. He indeed moved from a Wolverine stage to a kitten stage. Much less impressive. William was deprived of something. As we can see on the drawing, he's manipulating some sort of light between his hands...or energy. This foreshadowed a great power. We never ended up seeing it. But why have any other power when you already have Supersmoke? Finally, another change, though much more minor: his mammoth sword originally possessed red crusts. They finally became black in the series. Then came the time of the "Great Cut" and the immense project to renew the series. A project that would be called Code Lyoko Reloaded and which would lead to Code Lyoko Evolution. To know its entire evolution through which the creators went before relaunching the series, it's strongly recommended that you read this page in the History of the series section. For a version more centred on the projects and stillborn drafts, everything is right here. William is once again the one who was the most worked on. In the very first draft we had of him, the highlights of his suit were red instead of orange...and fans were especially shocked by his white, zombie-like complexion. His sword was also subject to some strong changes. Initially, it was going to be "retractable". The most valid hypothesis was that the presence of the eye of XANA or not would indicate to the heroes if William was under XANA's control or not. In the end, the Ninjas took the design of the original sword, after a recolour in green. An interesting concept that was never exploited. Basically, Aelita's bracelet showing a star would show an eye of XANA when danger was near, like a detector. We come to the heroes' devices, which allow them to connect to the Cortex interface. Originally, each hero was supposed to have a card in their own colour. These same devices should have been "kept" in this large receiver...which we never saw a trace of. 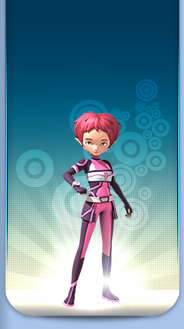 Final character tossed out during the conception: the new baddie in Code Lyoko Evolution. Initially announced in the series presentation PDF as Alan Meyer, the name changed because of the document leak. It therefore became Ikonov. Problem! The name was already copyrighted. Thus, we got Lowel Tyron. Finally, to conclude on a lighter note, we urge you to discover on the Reloaded page the conceptual drafts done on our heroes before the search for actors. Each character is presented in a stereotypical manner which will make even the most stilted fans smile. Follow the link and read the section!